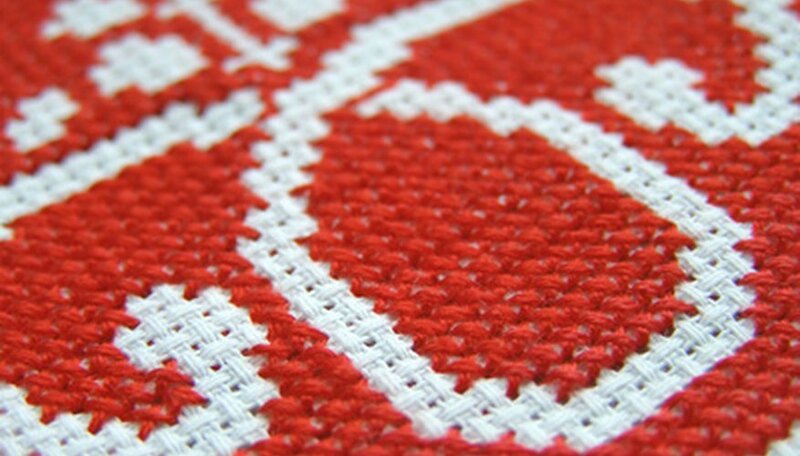 Cross-stitch is a form of embroidery that is used to enhance or create projects. Patterns range from basic designs to intricate pictures. Artists working with beads can convert a cross-stitch pattern to be worked in any number of different styles, from bead weaving to brick or peyote, and used to make projects ranging from bookmarks to amulet bags. Examine the cross-stitch pattern. Familiarize yourself with the pattern. Identify each marking on the graph or pattern with the correct color DMC thread. Select your beads. 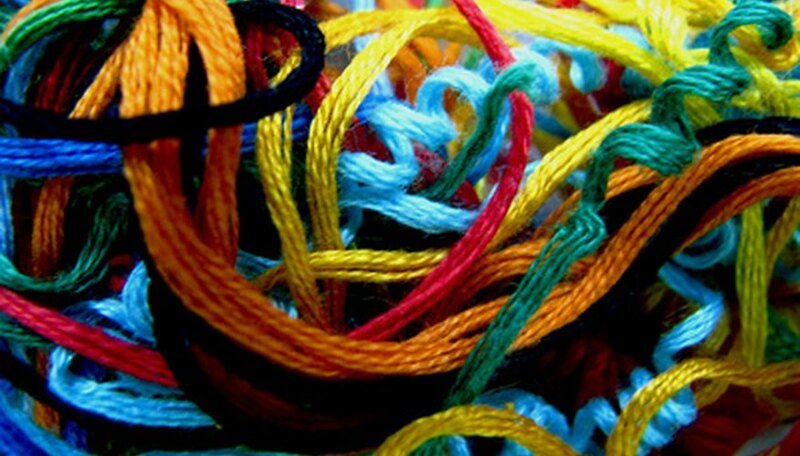 With colored threads in hand, visit your local specialty bead store. Compare the thread colors to the seed beads available. 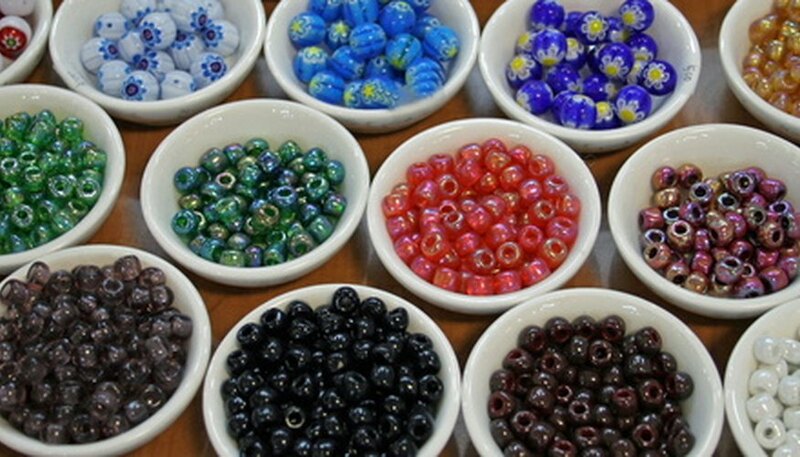 Purchase bead colors that are as close as possible to the thread color. Identify each bead container with the mark that is specified on the graph for that color thread on the pattern. Decide what portion of the design you are going to work into your project. Each square on the pattern is equal to one color thread, which in turn will be equal to a matching color bead. Isolate the design by placing white paper over the unwanted sections and fastening with blue painter's tape. This will help you to focus on the design you want, while maintaining the integrity of the entire pattern. Begin to create your project in the style you wish. Thread your needle or loom as appropriate. Starting on the first square of the first line of the pattern, pick up the bead that matches the mark on the graph. Place the bead on the needle and begin your "bead-stitching." Continue picking up the appropriate beads as stated on the pattern. Change colors from the pattern to the beads by keeping the same tonal values as you match your thread and bead colors. For example, if you want a purple rather than pink flower, use all the same shades in the design but pick them in the purple color range.